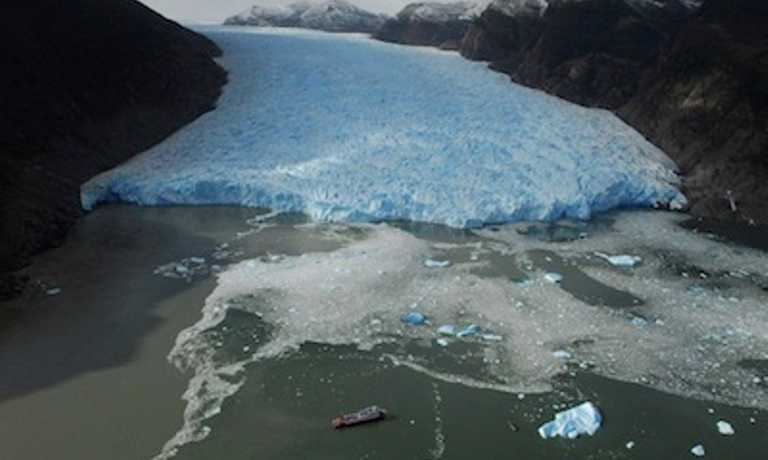 Sail Chile's fjords and channels along the coast in just 4 days you'll see practically unreachable places - glaciers, volcanoes, forests and islands on this Adventure Cruise. Day 1: Our adventure begins in Castro, the oldest city of the Isla Grande of Chilo?. Founded in 1567 as a base for the evangelization of the native people, it is known for its colorful Palafitos (Houses on wooden stilts), its cultural identity linked to mythology and the ancestral people whose tradition as great sailors continues until today. Crowning the city, the Cathedral combines a neo-gothic and classic design with the local building tradition so characteristic in the use of fine woods such as cypress, coihue, and alerce which appeal led it to being declared a World Heritage Site by UNESCO in the year 2000. A welcome cocktail invites us to leave behind the Port of Castro onboard the M/V Mare Australis and to enjoy the hospitality of our crew. We sail through the Castro Estuary, the Lemuy, Chonchi, and Yal Channels to reach Punta Centinela and prepare to cross the Corcovado Gulf. Day 2: Sunrise finds us near the small port of Melinka, capital of the Guaitecas archipelago, to then enter the P?rez Norte Channel, heading to Jechica, with a view to the Velberde, Garcia, and Garrao Islands. We pass Puntilla Chonos to arrive at our destination through the Chullo estuary. Jechica is a Natural Sanctuary in the heart of Chilean Patagonia, where exuberant nature is found in its primitive state, the Sphagnum bogs create unique ecosystems contributing to carbon storage. Disembarking is scheduled for after breakfast, to hike through Centenary Forests of Cipr?s de las Guaitecas (Pilgerodendron uviferum), Coihue de Chilo? (Nothofagus nitida), Notros (Embotrium coccinium), and Ma?ios (Podocarpus nubigena) among others species; and at the same time sight some of the 50 species of land and marine birds that inhabit the archipelago such as the Magellanic Woodpecker (Campephilus magellanicus), the White-crested Elaenia (Elaenia albicep chilensis), the Austral Thrush (Turdus falklandii), the Patagonian Sierra-Finch (Phrygilus patagonicus), the Southern Crested Caracara (Caracara plancus), the Black-Browed Albatross (Thalassarche melanophris), and the Red-legged Cormorant (phalacroc?rax gaimardi). We will end the excursion with a great Patagonian lunch with fresh local seafood and the ever-present "spit roasted lamb", while admiring the breathtaking scenery of this refuge for sailors of another time where the Pacific waters merge with the lush vegetation. We will weigh anchor by mid afternoon to sail through the Baeza and P?rez Sur Channels on our way to the Tuap Islands and to Puerto Aguirre arriving around midnight. Day 3: Sunrise finds us across from the Mogotes Islands, crossing the Elefantes Estuary to find the Quesahuen and De Vidt Pass to reach the spectacular San Rafael Lagoon after breakfast. 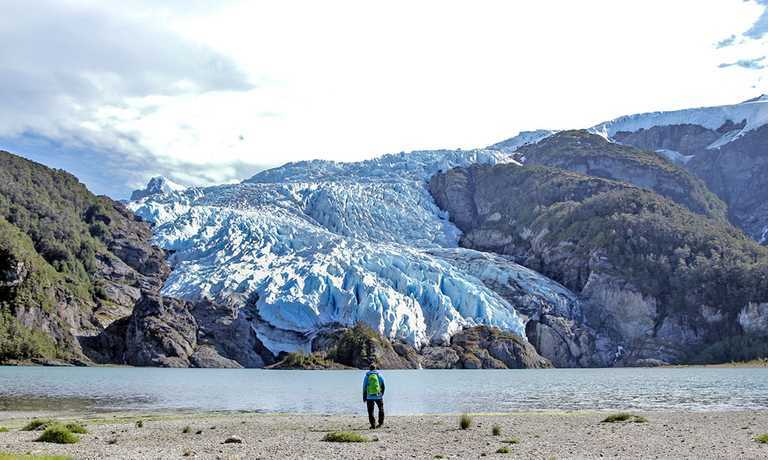 We will witness an awesome sight: the San Rafael glacier appears in all of its glory descending from the mountains and part of the Northern Ice Field, declared a World Biosphere Reserve by UNESCO in 1979. We will disembark, weather-permitting, aboard powerful MKV Zodiac boats allowing us to get very close to the ancient ice under the strictest safety standards, viewing the most diverse shades of blue ranging from very intense to absolute transparency, and perhaps witness the detachment of colossal blocks of ice where the deafening noise shatters the quiet when entering the water with a relentless force. Hot chocolate and whiskey will be waiting for us back onboard to combat the cold and share the exciting experiences. We raise anchor by mid-afternoon to head towards our next stop. 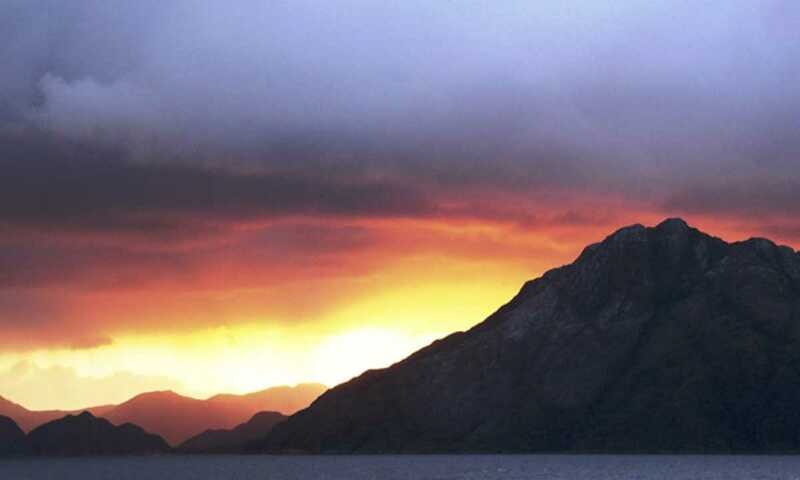 Day 4: We leave the Raimapu Island behind and sail the entire length of the Ays?n Fiord, reaching Puerto Chacabuco after breakfast, with its cliffs, rocky outcrops, and Bays which provide safe anchorage for our ship and a prime setting for our landing. We invite you to take part in this marvelous experience and be able to tell your own story about this unforgettable journey through the Patagonian channels.